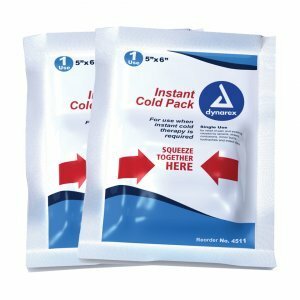 For use whenever instant cold therapy is needed, the UST Cold Pack provides relief of pain and swelling caused by sprains, strains, contusions, minor burns, toothache pain, insect bites and more. Available as a two-pack, each single-use cold pack measures 5 x 6 inches (152 x 127 mm) and weighs 7 ounces (198 grams). To activate, simply squeeze the pack together. Manufacturer: Revere Supply Company Inc. Publisher: Revere Supply Company Inc. Studio: Revere Supply Company Inc.